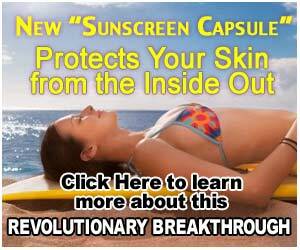 You can’t turn around without seeing an advertisement or an article on the health benefits of resveratrol. Of course many inferior products have come out to capitalize on the hysteria. There is a reason for this, it is based upon the amazing benefits of reveratrol, a polyphenol with several health benefits shown through several scientific studies. The discovery of resveratrol came about as scientists were trying to figure out “the French paradox”, how a society that consumes a diet high in fats showed little cardiovascular issues or obesity. This contradicted the “fact” that fats and cholesterol cause heart disease – unfortunately many of today’s medical practitioners still believe this. Just look at the use of statin drugs to fight “high” cholesterol, the side effects are worse than the “supposed” cardiovascular benefits. The “factor” that countered the high fat / high calorie diet was found to be red wine that was regularly drank with meals. Further studies on red wine found several health promoting components, the most significant of which was trans resveratrol. A phytoalexin produced by the grapes to protect itself from fungi and bacteria that may pose a threat to the plant – natures antibiotic. Antioxidants (including resveratrol) of the grape skins in the wine help to fight the wear and tear and daily free radical assault on our cells. To obtain all the above benefits, you must use a resveratrol supplement as it is not possible to obtain it from foods or drink, over eating or that much wine without the negatives of excess alcohol. Obviously there were benefits at lower levels as shown in the French paradox studies. Minimum supplementation of trans resveratrol would be an oral dose of 25 mg extract, a more beneficial amount would be in the range of 100 mg of resveratrol extract. You don’t know if you don’t try. As with most natural supplements, a period of up to 3 months may be required to see benefits, sometimes much less. Reveratrol has many benefits and they are very effective in treating anti aging problems and also in treating health problems and cancer prevention.